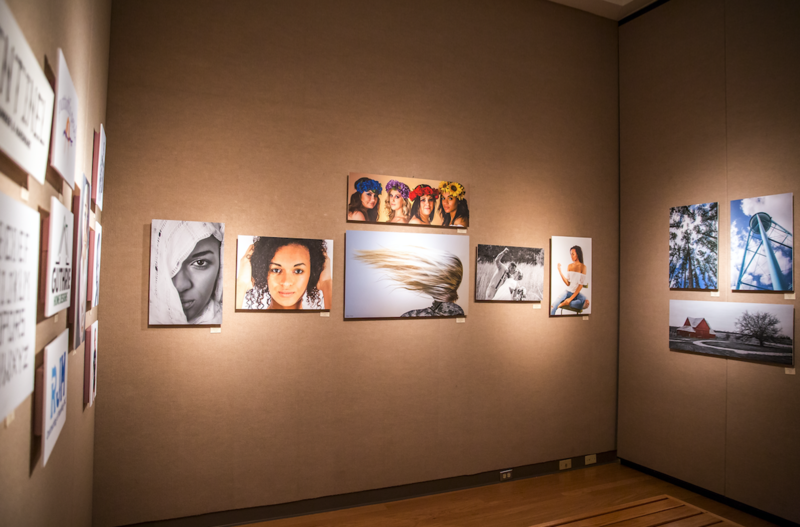 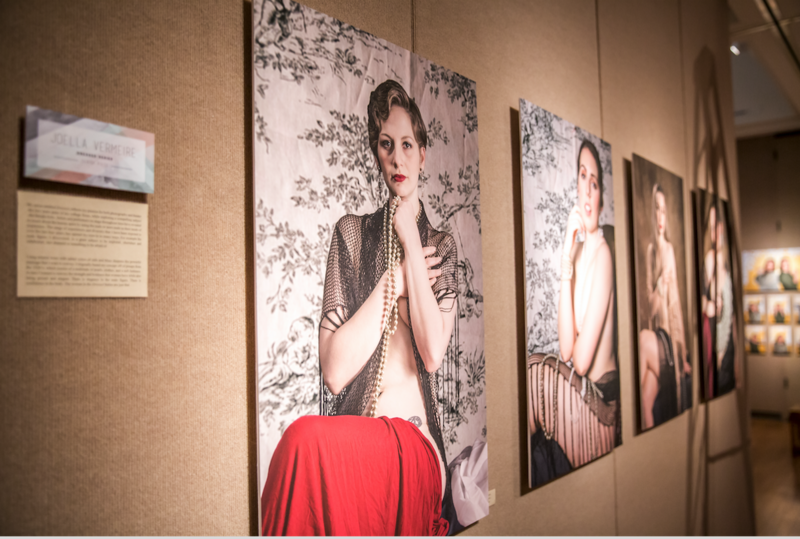 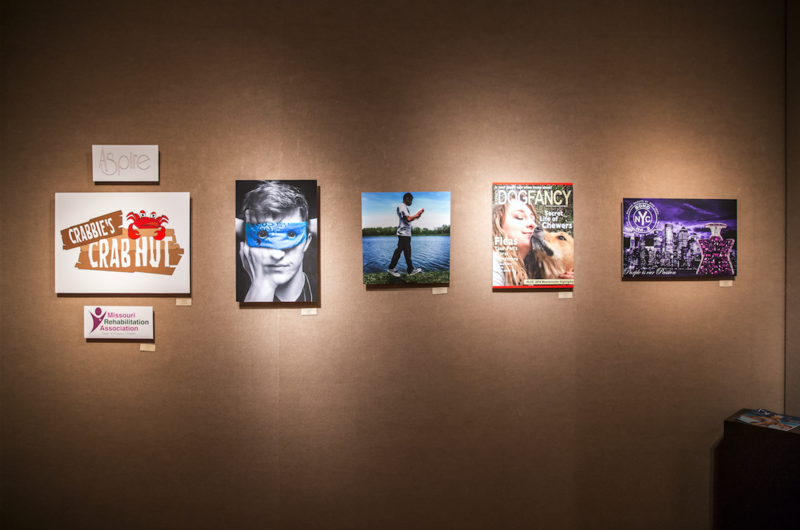 “Preparing for the senior art show was probably the most stressful period of my college career,” recalls Micala Herrigon ’16, a graphic design major turned photographer. 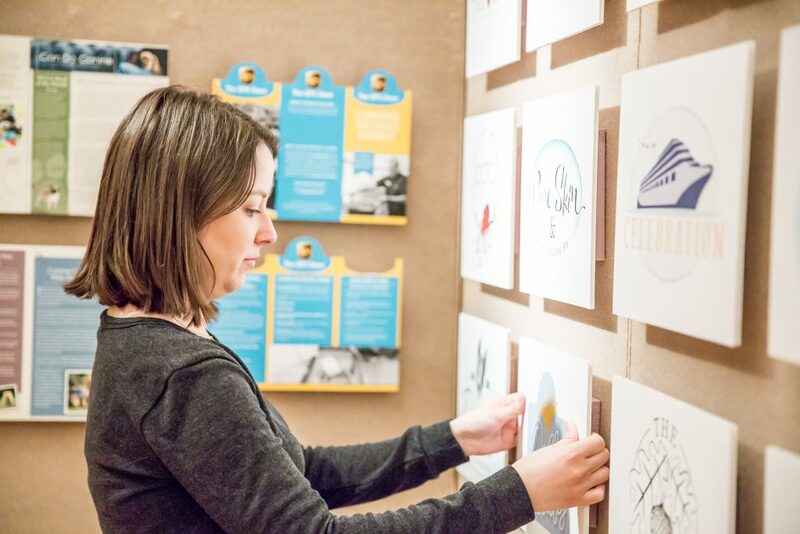 It may be stressful, but the end product is awe-inspiring. 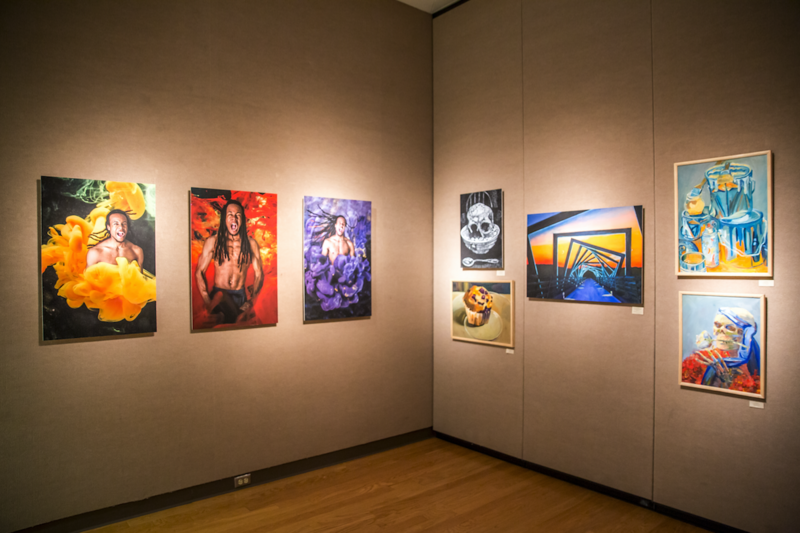 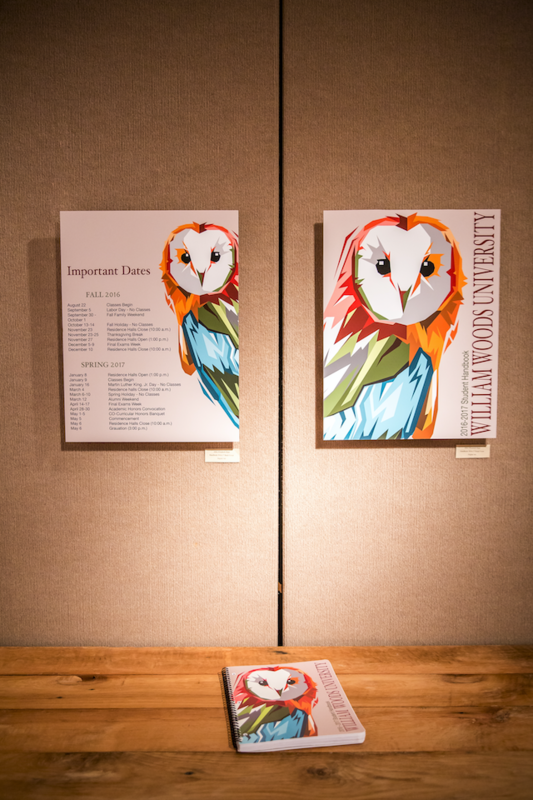 Every April, William Woods University seniors in the graphic design, studio art, and art education majors unveil an exhibit displaying the best pieces from their years at The Woods, along with a senior project. 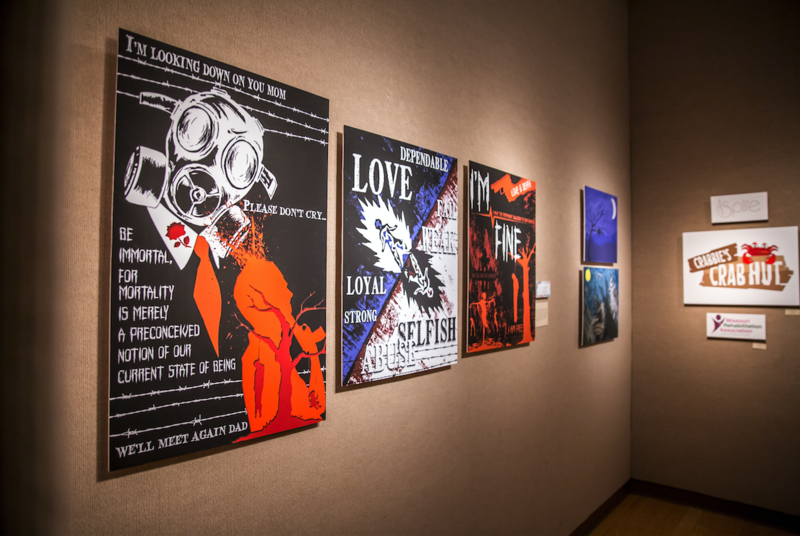 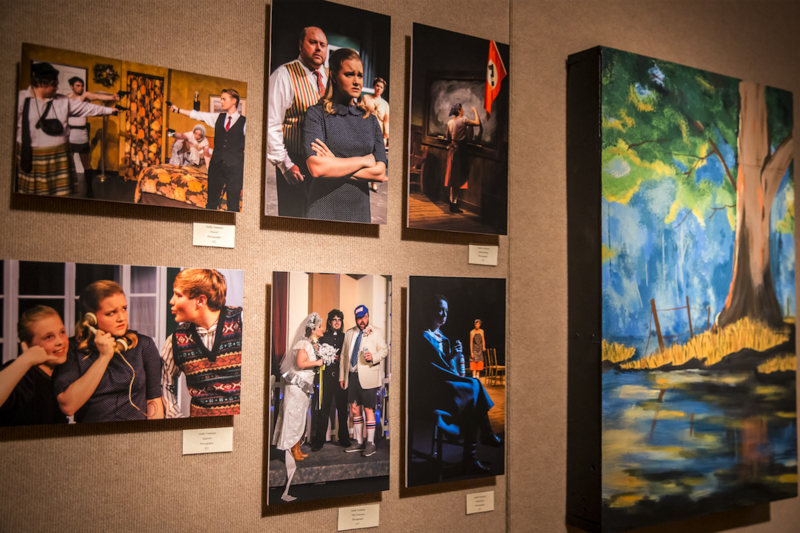 This exhibit has been a cornerstone of the William Woods arts program since the early years of the department. 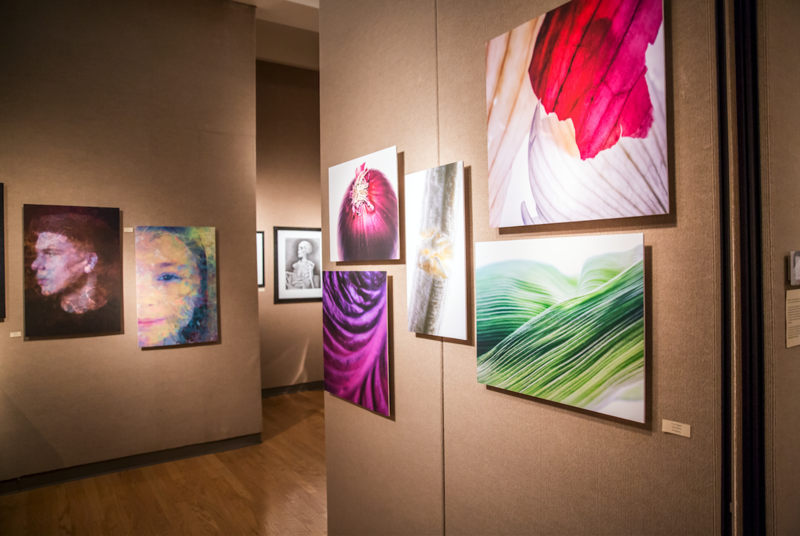 As part of a senior practicum class, they spend their last semester at the university planning for the event, which takes place in the campus’ Mildred M. Cox Gallery. 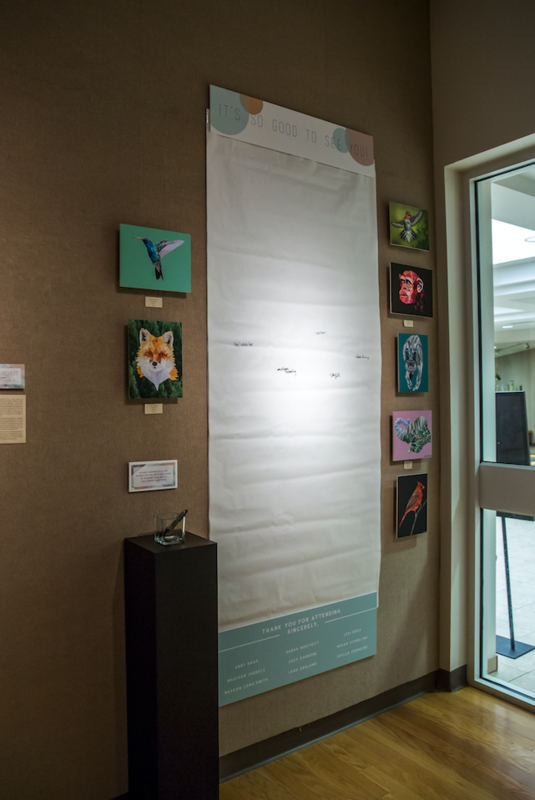 Students create a theme, arrange the gallery, mount and hang the prints, light the artwork, market the event, etc. 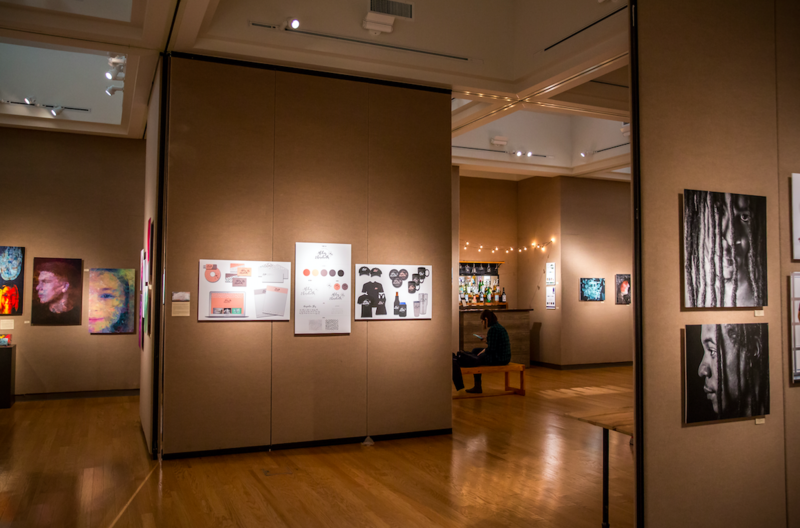 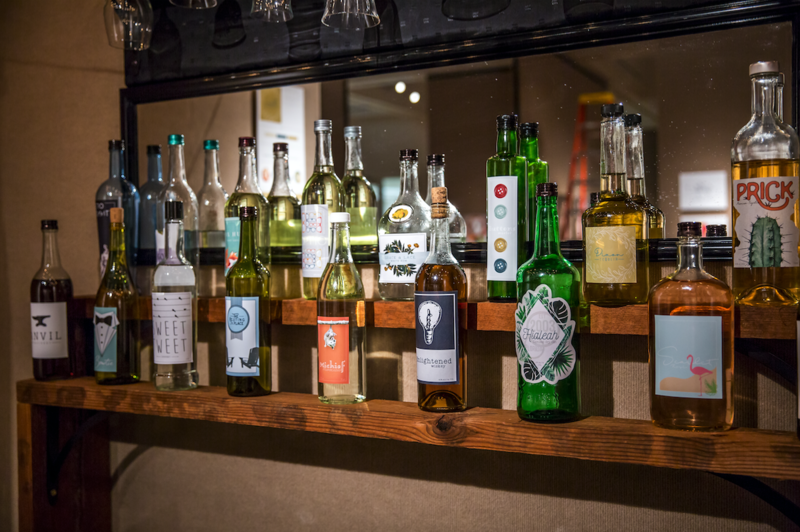 Their work is always extremely diverse, showcasing everything from prints and paintings to large-scale installations and liquor bottle labels. 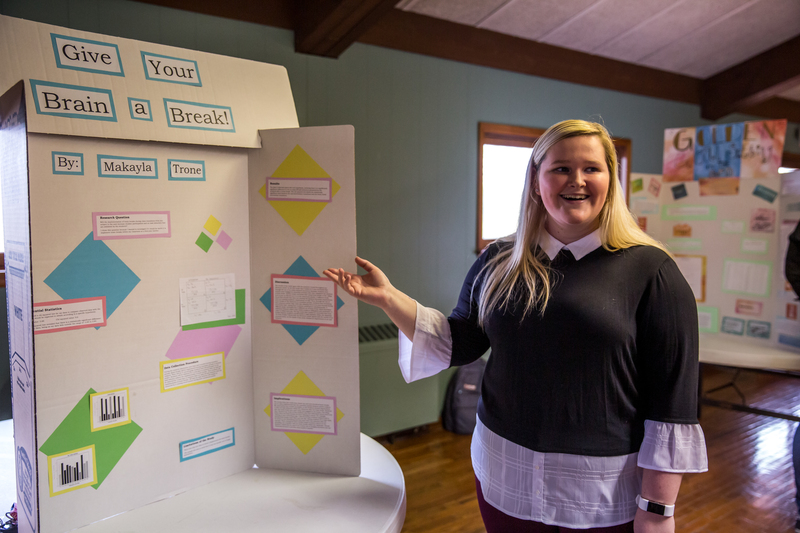 Plus, they get hands-on training with practical skills like time management, offering/accepting criticism, and teamwork. 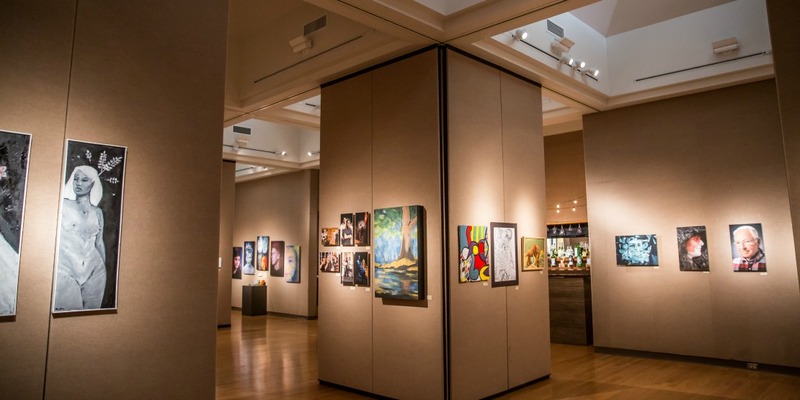 “The biggest lesson I took away was how to work efficiently with other artists,” says Herrigon. 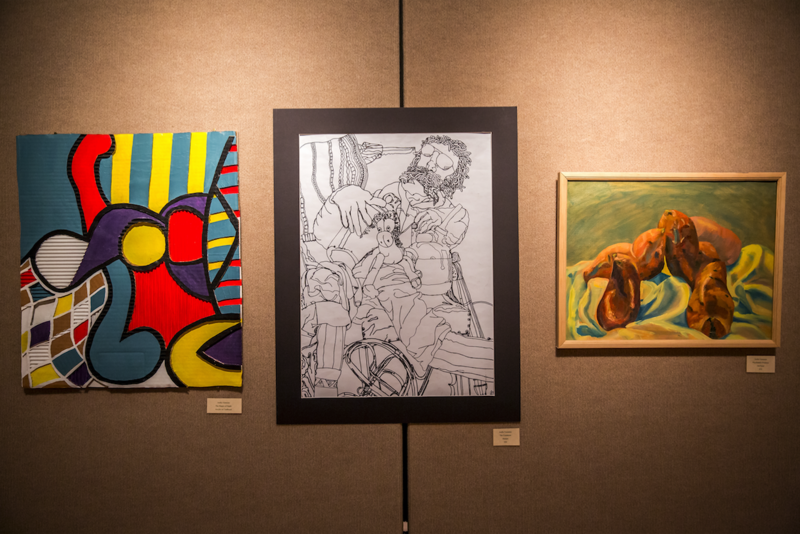 “It is an excellent assessment tool to evaluate our program’s success, as well as showcase our seniors,” says Jane Mudd, assistant professor of art. 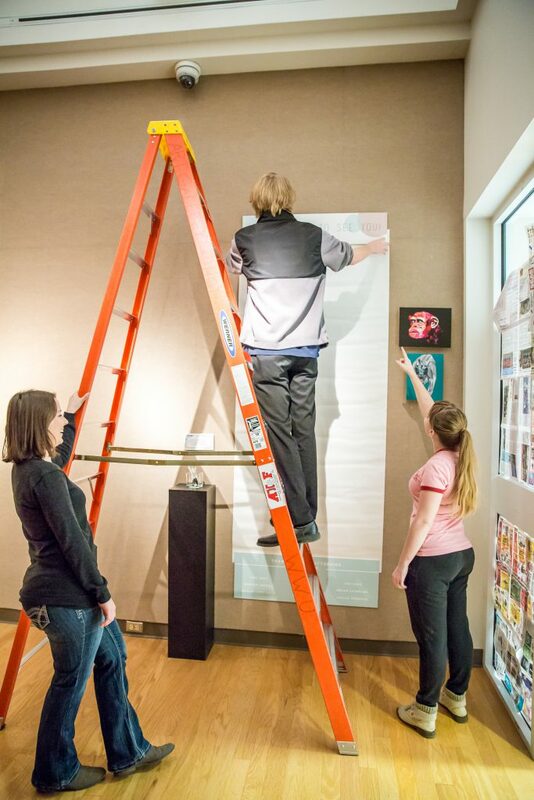 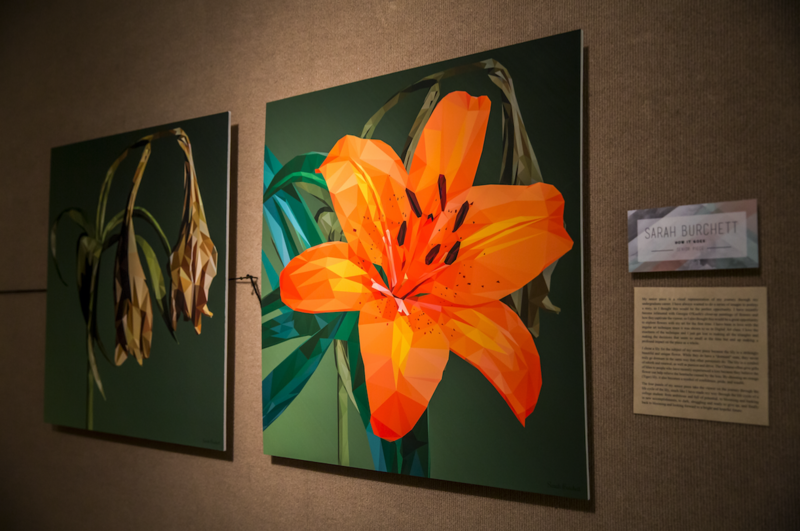 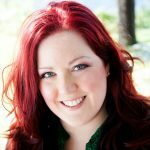 “They have a wonderful opportunity to work as a team and install a large, cohesive exhibit in the finest gallery in Missouri. 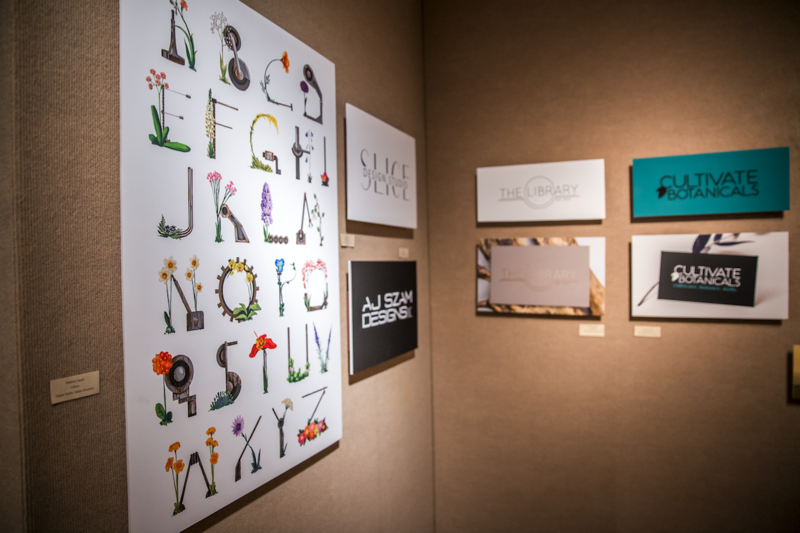 The 2018 exhibit does justice to this long tradition. 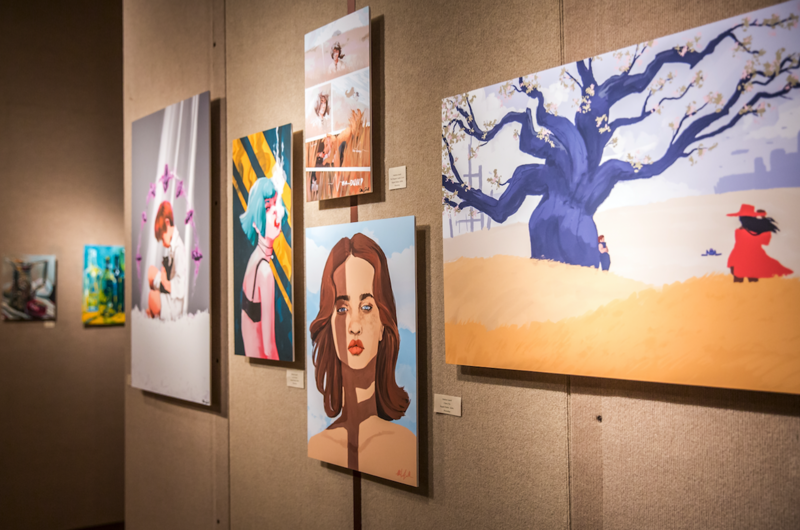 The nine student artists showing their work include Sarah Burchett, Joey Carbone, Leah England, Abby Haas, Madison Jarrell, Meagan Long-Smith, Lexi Rosa, Megan Schmeling, and Joella Vermeire. 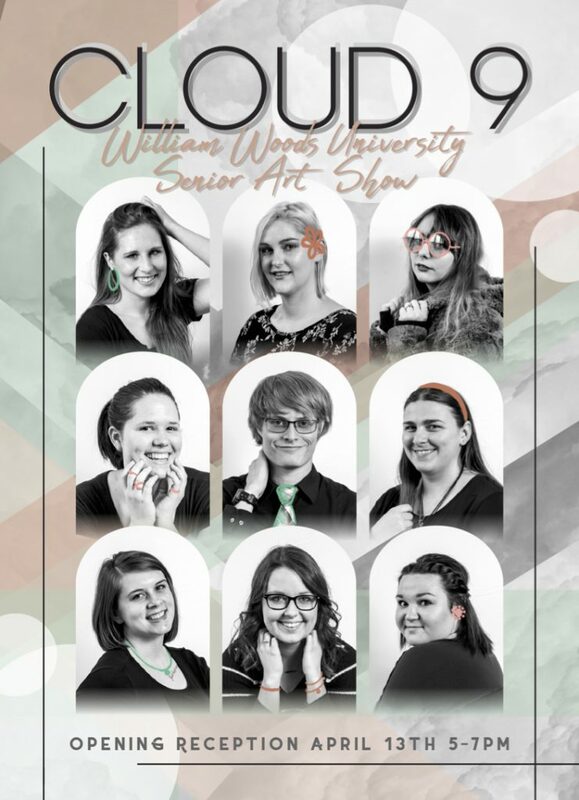 “We decided on the theme of CLOUD 9 because the name symbolizes bliss and that is what we feel with creating the work,” says Megan Schmeling ’18, a graphic design major from Martinsburg, Mo. 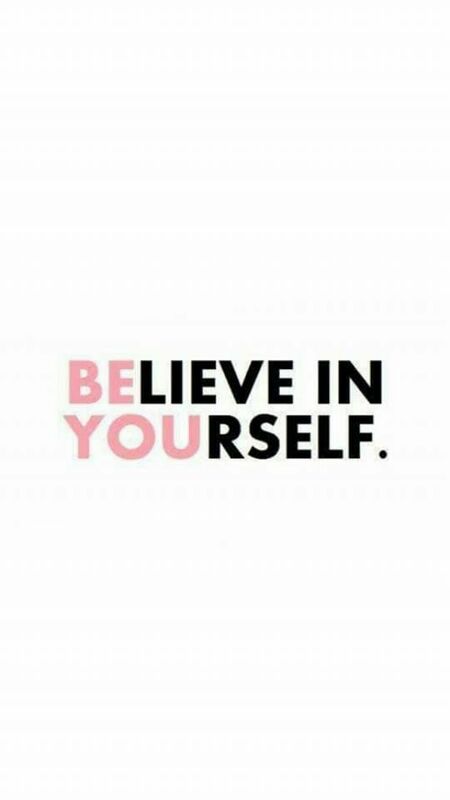 “It can be difficult and frustrating at times, to say the least, but when successful it’s pure bliss! 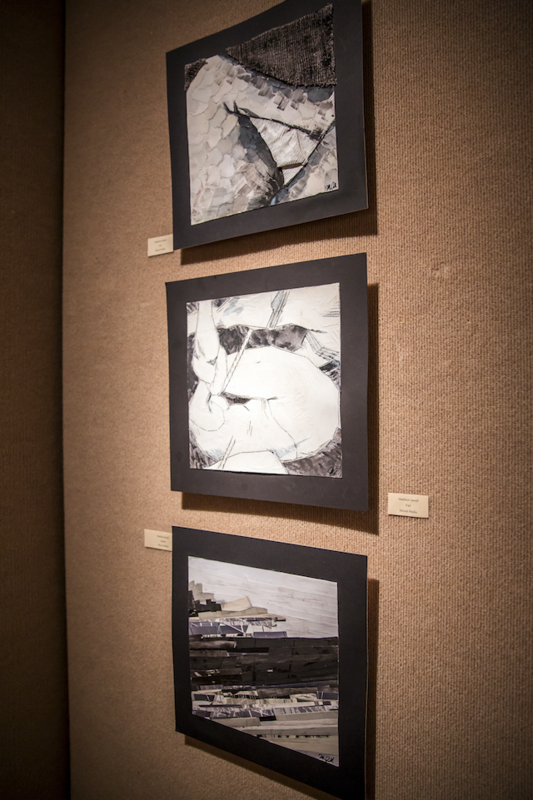 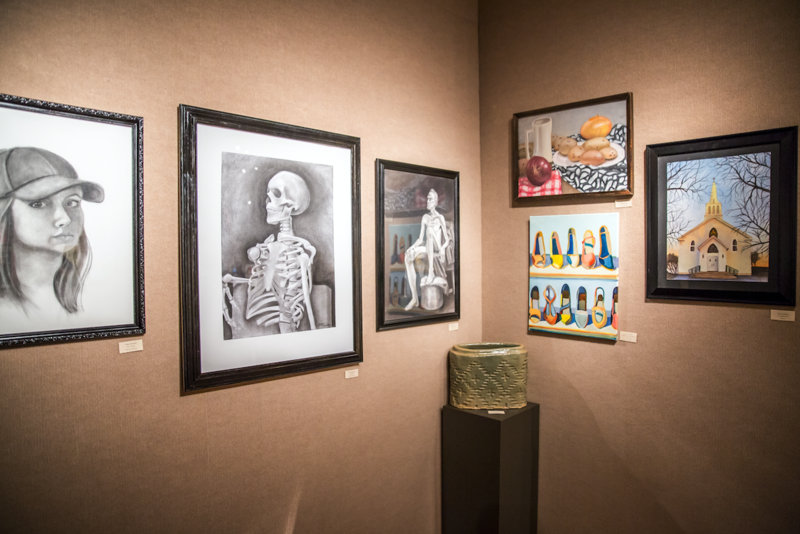 When art majors look back on their time at William Woods, the senior art show is always something they talk about. 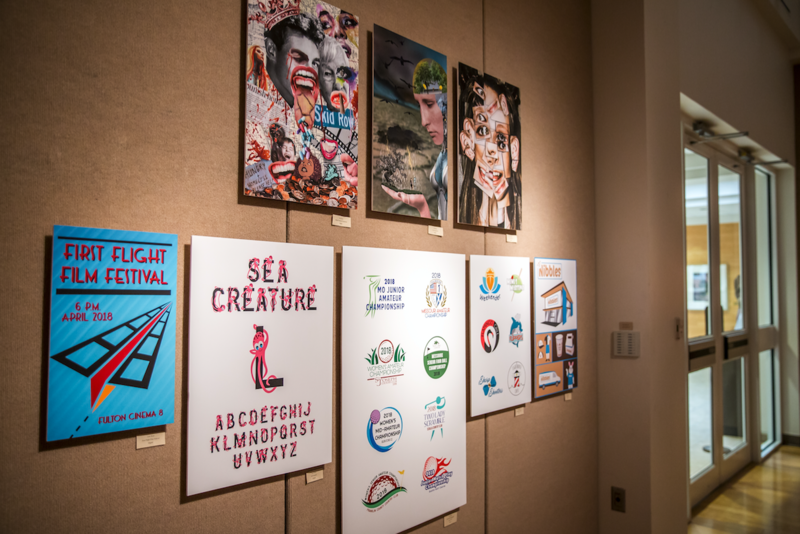 This year’s exhibit is on display from April 9th through April 28th at the Mildred M. Cox Gallery in the Gladys W. Kemper Center for the Arts.